It's really hard to draw conclusions in the self-pub marketing game. After almost ten years of self-publishing on Amazon, I still don't know why some ebooks sell more than others. Advertising? Social media? Newsletters? Amazon visibility? I know for certain that social media works. When I have a new title, or I put something on sale, I Tweet it and put it on Facebook, and sales go up. Cause and effect. When I have a new title, preorder, or special sale, and I send out a newsletter, sales go up. Cause and effect. When I get a BookBub ad, sales go WAY up. Cause and effect. But how about other kinds of ads, like AMS? Is the key to being successful on Amazon, being visible on Amazon? It's a seductive idea. After all, Amazon has been designed to entice the reader to click, and to buy. Every pixel on the Amazon page has a purpose. Surely the bestseller lists, and product ranks, have a purpose as well. They must help sell more books, or else why would they exist? Does getting on a Top 100 Bestseller List on Amazon give your book enough added visibility to fuel a lot of sales? Or is book rank more about satisfying authors and their egos, and giving prospective buyers more secondary information to corroborate a prospective sale, rather than being the thing that introduces buyers to a book? I've been asking myself that question a lot. My first experiment was observational and highly subjective. I looked at how I bought things on Amazon. We rarely examine our own buying habits, and volumes have been written about why we buy things, but I buy a lot on Amazon, and here's some of the things I've noticed. This is the main reason I buy things. I have a need for something, so I search for it by typing it into the search box. Say it's a hammer. I type in 'hammer', and maybe narrow it down by category. Then I see what comes up, and compare a few products based on prices, appearance, and customer reviews. I don't read customer reviews, unless a product has too few, or a lot are bad, or a lot are overwhelmingly good and it seems like they might be fake. (We can all spot fake reviews that were written by shills). Maybe one product pages will take me to more pages by showing me what customers also bought, or sponsored products, or what else customers looked at. If I know the exact product, I go directly to it. Maybe price is a consideration, but if I'm brand loyal (a specific author, a kind of shampoo) I don't worry about price, reviews, or competing products. I click on it. I have a vague idea that I want something, like a book, but I'm unsure of what I want, so I'm just going to poke around Amazon until I find something. I know the authors and types of books I like, and usually buying one of them leads me to instant recommendations about others I'll like based on customers like me. Hell, Amazon sends me emails based on things I've bought and my browsing history. Not a lot of poking around needed by me; it's all on one page. Do I ever browse the Bestseller lists? As an author I do, to see who is selling. As a reader, never. Neither does my wife, an uber-reader who burns through seven books a week. She's always got a full Kindle because Amazon recommends books, she signs up for the newsletters of authors she likes, and she gets BookBub emails daily. So we have two readers in our house who spend a lot on Amazon, and neither of us buys books because we discovered something new on a bestseller list. My buying habits may not be yours, however. I know many readers who learn of new books on Goodreads, and I've never gotten much use out of that platform, as a reader or an author. I think Goodreads is terrific, but I just don't use it. I'm certainly not obsessed with my Goodreads Author Standing as I am with my Amazon Rank. But should I be worried about Amazon Rank at all? What's the relationship between causation and correlation in regards to Amazon rank? Does a high rank help a book maintain sales through visibility? Or is it only an indicator of book sales and the added visibility does little for sales? My own efforts inform me that it is promotion that leads to sales, and an incidental side-effect of sales is the rank position and any subsequent appearance on a bestseller list, which doesn’t help the book much. Some authors seem to believe that appearing on a bestseller list leads to extra visibility and additional sales. Am I right? Are they right? Maybe a little of both? So I can’t think of any way to definitively state that appearing on a bestseller list is an effective sales tool. But I do have plenty of evidence to show that a bestseller list appearance doesn’t do much when it comes to additional sales/downloads. I’ve become convinced that rank makes authors feel special, but doesn't boost sales by any significant degree. I say “significant” because I’m sure being on a list is helpful. Just not very helpful, and not worth pursuing. That may seem counter-intuitive, but you’ve probably seen examples with your own books. I recently made my book ENDURANCE free for five days. I didn’t do any ads, but did link to it on social media. First day, 1375 downloads, and it peaked at #70 on the Top 100 freebie list. Now, this book had nothing pushing it up the charts, just my Tweets and Facebook, and anyone who retweeted, and those websites that promote free books on their own initiative to make Associates dollars. After that initial social media burst, there was no other promo for ENDURANCE. This was intentional on my part to prove a point. Being on the biggest bestseller list made ENDURANCE visible to readers who are presumably searching bestseller lists for ebooks, so once I hit #70 I should have had hundreds or thousands of new eyes on it, and corresponding downloads because, hey, it was free. But you can guess what happened once my promotion stopped. Once I stopped promoting, it stopped climbing. By Day #2, it was #95, and on day four it was #214. Whent he promo ended it bounced to the paid list at #42,844. So the moment you peak, that value begins to immediately start fading unless you continue to sell at that speed, a higher speed, or a slightly lower speed. But that slightly lower speed needs to pick up as time passes, for a rank to maintain its spot. It has to run faster to stay in the same place. The added visibility of being on a list, without any promo to back it up, doesn't do much to sustain position. Promos will help a book sustain its rank, because they are driving more downloads. So as long as the promotion/marketing/ads/retweets/facebook boosts continue, a book can retain its spot, or even climb up. Without any promos, the only thing to drive a book’s downloads is its own visibility on a bestseller list. When I hit #70, if appearing on the list and being visible to all of those people browsing the list had a big impact, you’d expect a lot of downloads, and for it to continue to climb. But being on the list wasn’t enough. By day #2, ENDURANCE only had 729 downloads. Day three, 331, day four 160, day five, 113. While it isn’t on the Top 100 Bestseller list, it was still on many other lists (Horror, Occult, Whispersync) in high spots. But those high spots aren’t generating enough new downloads for it to sustain its position. It kept dropping without any outside promo push. And this is a freebie list. 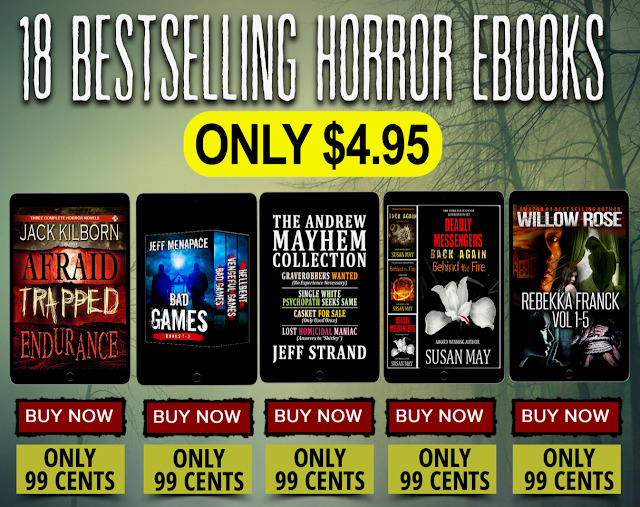 Being #1 in Horror—a big category—as a freebie only yielded 300 downloads. That's 300 downloads if you believe that people only downloaded it because they say it on that bestseller list (or another list). But I know that the reason it peaked on the list was my sale and social media push. That got it on the list. And being on the list didn't keep it on the list. ENDURANCE isn’t an anomaly. I did a BookBub with BLOODY MARY recently, hit #1 on the overall free list with 45,000 downloads. But once the promo stopped, the book dropped like a rock. My experience has been that being on a bestseller list doesn’t have much of a positive effect on a book’s downloads. I did 1375 downloads on Day #1, while promoting ENDURANCE. Day #2, I had 729. One might attribute those 729 to list visibility, but there is no way to be sure. I could have had people clicking on my Twitter and Facebook push the next day, which meant my promo was still working. Those websites that promote free books could have picked it up the next day, giving it a little push. And there are probably reasons I don’t even know that factor into who downloaded that book on Day #2, and why. During a book launch, for example, it may take some fans a while to discover that a new book is out, or word-of-mouth can build, or social media can build, so a book can continue to climb. But that’s still a push doing it, not a by-product of hitting a list. This happens every time I do a KU freebie or countdown without a sustained outside promotional push. I have many other examples. My books are always on the WOMEN SLEUTH bestseller lists, but they are often below #100. Since you can’t browse below #100, they get zero visibility from being #202, but they still consistently sell somehow. My belief is readers find them from actively searching for the next book in my series, or through Amazon's "Customers Also Bought" feature. I’ve been #1 on both Free and Paid Bestseller List, several times. It feels good, but it doesn’t stick unless massive promotion backs it up. Rank may indeed be a measure of success and sales, but rank isn’t the reason for success and sales. A simpler example of what I’m saying is watching box office results for movies. STAR WARS hitting the #1 box office spot probably didn’t lead to many more ticket sales, people who said “Hey, look at Star Wars at #1—I’d never heard of it before but now that it’s visible I’ll go see it”. When STAR WARS hit #1, do you know what #10 was? No. And neither does anyone else. Because people aren’t looking at box office lists to determine what to see. What draws attention to movies? Ads. Marquees. Reviews. Theater websites. But the movie theater websites aren’t ranking movies. AMCtheaters.com doesn't have a list of which movie is the most popular so you can decide what to see by rank. Where is the evidence that hordes of readers—or even handfuls of readers—are discovering new books by browsing the bestseller lists? It may be helpful—to what degree, I don’t know. But I do know, with 100% certainty, that hitting a list will not keep you on that list unless there are other factors involved. The above examples were for free books. Here is a current promo I'm running with a paid book. That was the order I tweeted in, one after the other, and pretty much worked as I expected. I’ve never had these box sets at 99 cents, so a lot of thrifty shoppers were waiting for this deal. My Jack Daniels books are more popular than my horror, which is expected again. But the sales directly aligned with the order I tweeted. I tweeted four times in a row. The first Tweet, with Whiskey, got the most downloads. Then some of my followers began to go Tweetblind. Or they didn’t read closely and thought I was repeating. Or they were overwhelmed. Dirty was next, then Afraid, and finally Origin, and with Origin I didn’t list the titles, just tweeted I had another box set. Lessons learned: When promoting more than one thing, don’t do it one after another. And when doing a box set, list the titles. The next day, I did two promotions. 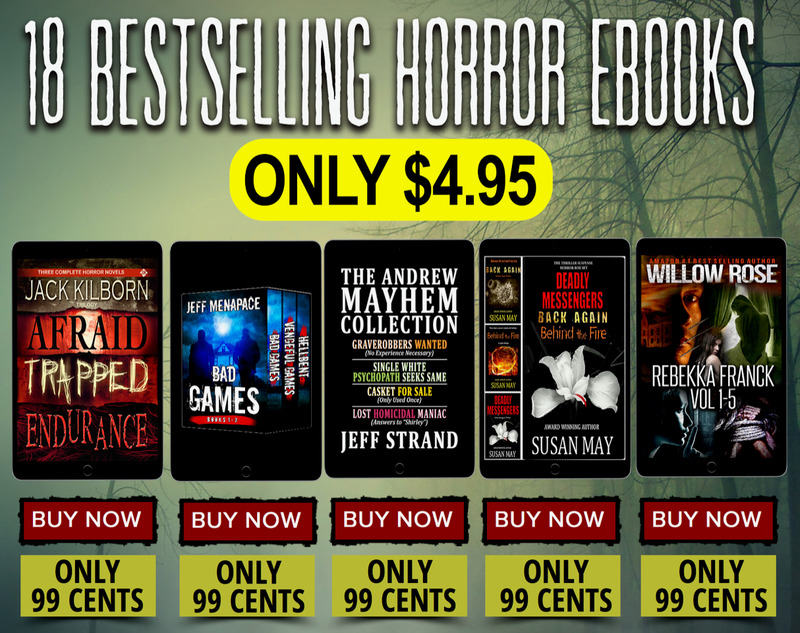 For Origin, I did a BookBub ad in the horror genre. For Afraid, I did a newsletter swap with four other well-known horror authors. The five of us all sent out a newsletter yesterday, promoting all five box sets. So yesterday I had a BookBub for one box set, this promo for the other horror box set, and did no promos at all for my two Jack Daniels sets. Afraid squeaked into the #300s with rank. Origin climbed to #80. All of us became Top 50 Horror Authors. We all climbed up on various bestseller lists. I made enough in sales to make up what it cost to send out my newsletter, and of course BookBub always pays for itself. But our ranks aren’t sticking. They’re dropping. 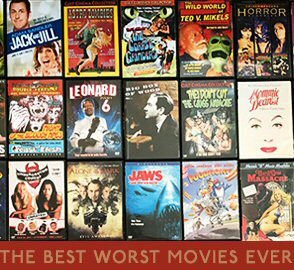 In my case, neither of my horror box sets have even been on a bestseller list, because I've kept them at $9.99. So my anecdotal evidence, that I don't shop using the bestseller lists, seems to be supported by my experiments. Not many others seem to shop using the lists, or else we'd all be sticking or climbing, rather than dropping. Stop worrying about your Amazon ranking. It is an indicator of sales, not a driver of sales. What does cause me worry, however, is how to maintain sales. While the vast majority of titles appear on a bestseller list, then drop off pretty fast, some of them do tend to stick around for a while. Why? Could the added visibility of high ranking be helping some books and not others? Or is something else at work here? I have an idea, but I don't think anyone is going to like it. 1. How many people would like your books if they encountered them. 2. How many people you can help to encounter them. 3. How many people will encounter them because of reasons that have nothing to do with your efforts. I always have a book on sale and a book that's free. I do ads (Bookbub, AMS, Twitter, Facebook). I use social media (Twitter and Facebook). I update my book backmatter to include new titles. I update my book descriptions and Amazon author page to include new titles. After that, it's out of my hands. Remember your Serenity Prayer. Here are some things beyond your control that could happen, and this is (probably) why some books seem to stick on the bestseller lists. You could have a publisher promote you. You could have IP tie-ins (TV, movies, comics). You could get media exposure. Word of mouth could explode/go viral. Basically, I believe we're limited by our own ceilings, unless extraordinary luck steps in. You can gradually raise your ceiling by writing more books, and doing all the things I mention above. And the more you do, the easier it will be for luck to find you. But you need to stop worrying about your Amazon rank, and stop judging your success by appearances on the bestseller lists. Your time is best spent tending your garden. Keep writing, keep promoting, keep growing that readership. There's no secret here. There's only hard work and luck.